Please be aware, this is a PRE-ORDER item. This item will ship once we receive the stock and is compliant with strict release dates. Please read our Shipping Policy and Pre-Order Policy at the foot of this page for more information. The Galactic Empire encompasses countless star systems, ruling over the galaxy with an iron fist and sitting at its head is Emperor Palpatine. As the ultimate ruler of the Empire, all bow before him, even the fearsome Darth Vader. A brilliant manipulator who almost singlehandedly orchestrated the fall of the Jedi order and his own rise to power, the Emperor makes a perfect addition to Star Wars: Legion as a commander of the Imperial forces. 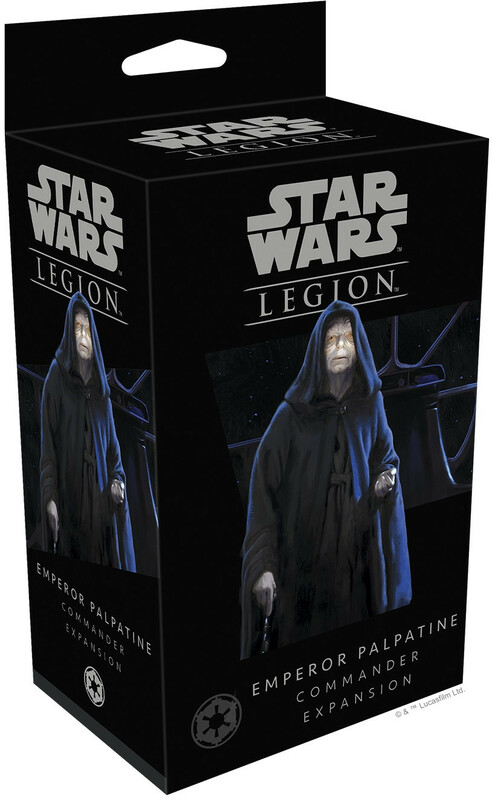 Within the Emperor Palpatine Commander Expansion you’ll find everything you need to add Emperor Palpatine to your army as a commander—leading the Imperial forces on his own or alongside another Imperial commander such as his apprentice, Darth Vader. A single unpainted, easily assembled miniature depicts a cloaked Emperor Palpatine plotting his next move, while three upgrade cards allow you to tap into his mastery of the Dark Side of the Force. Finally, three new command cards give you more options for determining your battle plans, letting you make use of the Emperor’s abilities as a master strategist.